Lines from Linderhof: Ground Hog for Groundhog Day -- or is it Candlemas? 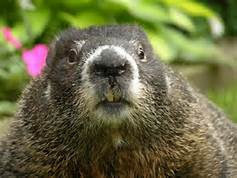 Ground Hog for Groundhog Day -- or is it Candlemas? "Last Tuesday, the 2nd, was Candlemas Day, the day on which, according to the Germans, the Groundhog peeps out of his winter quarters and if he sees his shadow he pops back for another six weeks nap, but if the day be cloudy, he remains out, as the weather is to be moderate. A good use for the rest of the New Year's ham! So I suppose there is a 50/50 chance that Herr Groundhog may see his shadow! And the Pennsylvania forecast is for more sun than in Kansas! Which would mean more winter! But for them . . . or us? winter is gone and will not come again! I think I will go by what the Kansas groundhog sees. That seems more fair, doesn't it? 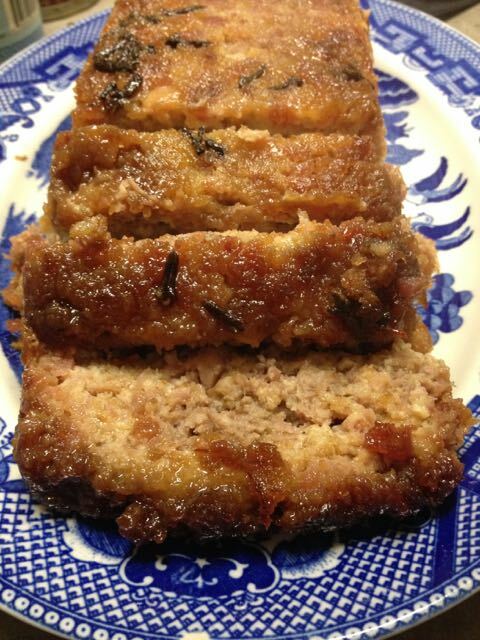 Hi Martha, never heard of this ham loaf. Is it ground ham? I see cloves and a glaze is that the topping? Looks delish. MMm that looks good. 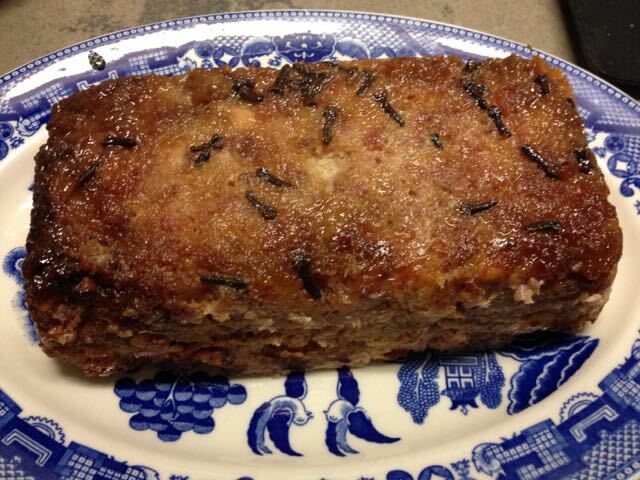 I am baking a ham for dinner on Sunday - cousins from away are coming - and there are always leftovers! Lucy -- it is ground ham. I'm thinking it originated to use up the last pieces of ham to form another meal for the family. Sarah ham loaf has been around a long time. I'm thinking it just fell out of favor. 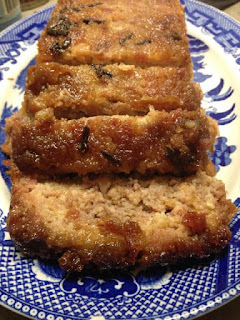 My Grandmother use to make a ham loaf after huge family dinners!!! I have heard that we are to have an early Spring!!! but looking forward to fresh Herbs in the Herb Garden!!! 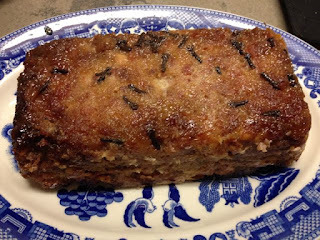 The "ground hog" loaf looks great! And I love your new Bates bedspread. Beautiful find!